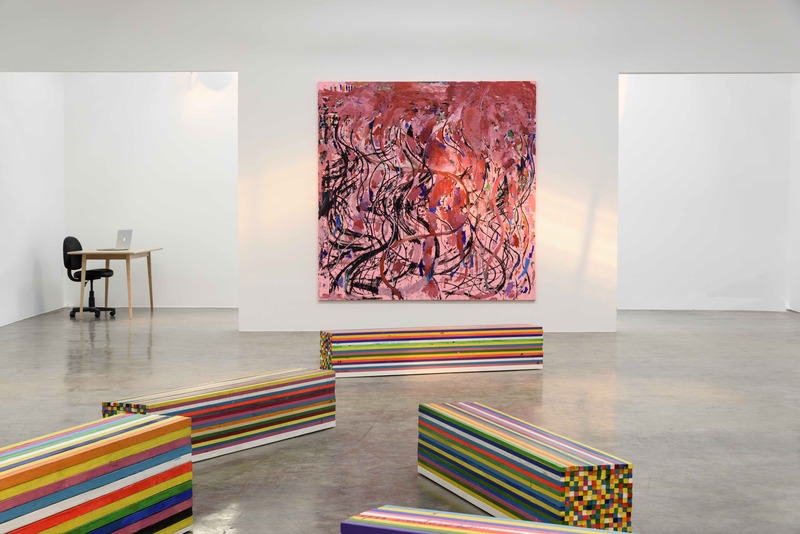 “The artist’s first solo exhibition in Los Angeles in over two years, Time Machine will present evocative, process-driven abstract paintings and sculptural objects. Inspired by memory, loss and the recall of past impressions, Dutcher approaches painting as a commemorative gesture. Encouraged by the physical immediacy of painting and by its mnemonic capacity to invoke nostalgia, Dutcher began the Time Machine series in 2012 with a desire to capture and revisit enduring past impressions. 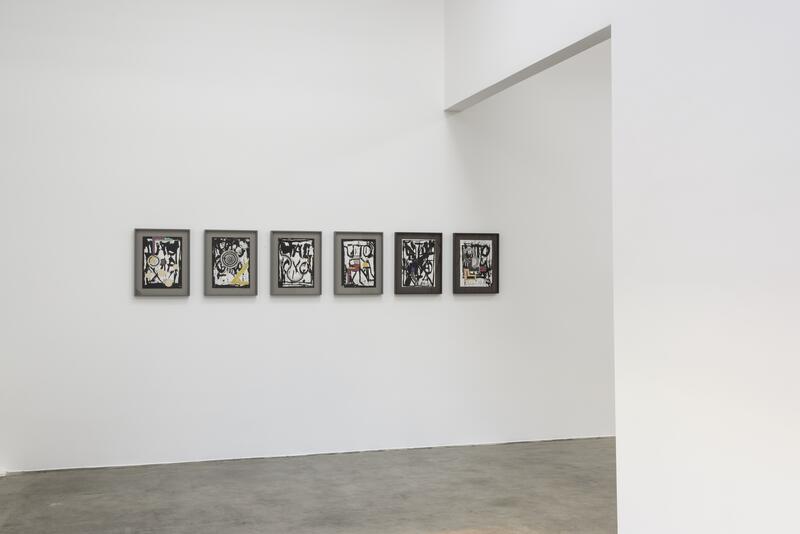 The series began with an attempt to represent a pivotal moment in his development as an artist, when, in 1983, viewing an abstract painting by Susan Rothenberg at LACMA he experienced a profound shift and consolidation of purpose. Dutcher wanted to return to that specific moment in time, to capture the feeling of that day through an intuitive approach to abstraction. He went on to create nine additional paintings in the series, each in search of the conversion and representation of a fleeting memory. 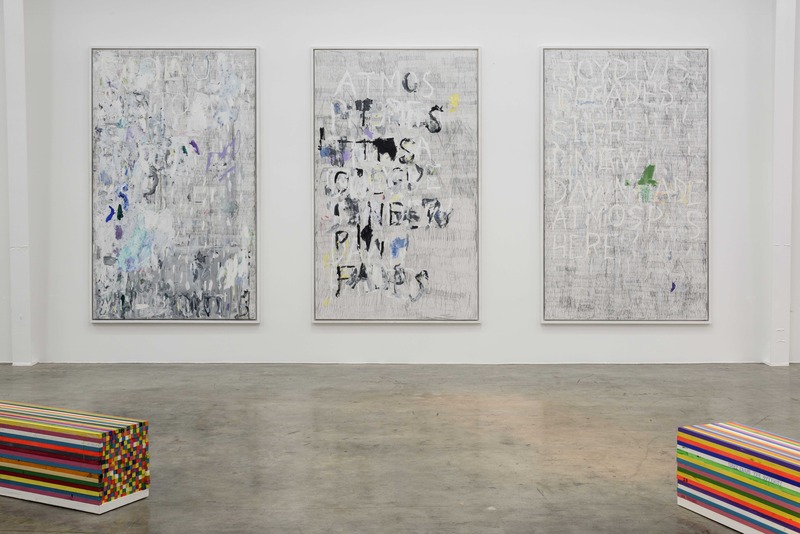 By revisiting these impressions, Dutcher literally recreates a personal history through emotive recall, visually incorporating fragments of text, (sometimes song lyrics or friends and lovers’ names specific to the time), painterly gestures, and physical remnants of time spent in the studio to convey sensorial memories. Dutcher’s tributes to the past are both celebratory and melancholic, as each commemoration inevitably carries its weight in loss. Working in oils and graphite, Dutcher creates raw records of lived painting. 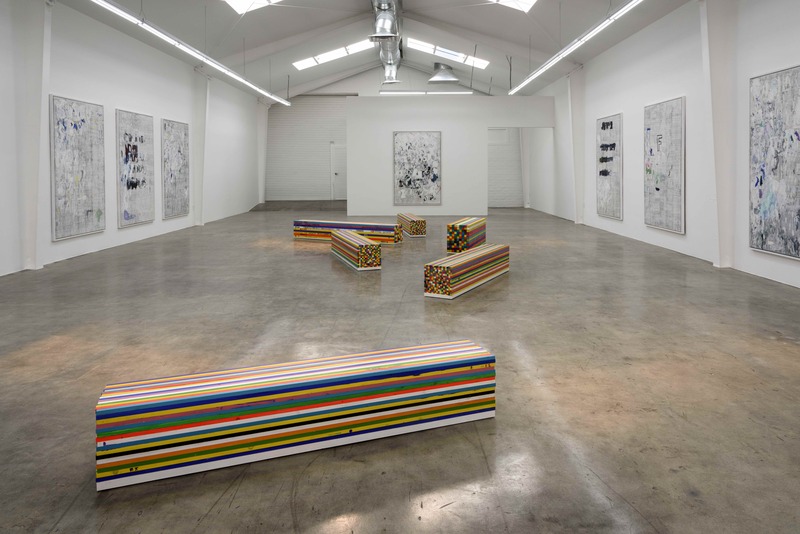 They begin with a history of pencil traces, a blueprint of shadows and layers, and are then built up with additions of paint, gesture and text. He embraces imperfection, and the errant traces of an organic studio process, drawing out, rather than concealing, the presence of the artist’s hand in the finished paintings. Visceral and emotive, his works are dynamic records of time that embody a poetic awareness of temporal instability. Influenced by artists as diverse as Alexander Rodchenko, Jasper Johns, and Richard Diebenkorn, Dutcher is fascinated by the impossibility of the utopian moment, the persistence of representational fallacies, and the implicit impermanence and collapse in all making – especially the ruins implied by monuments.